Home Beer Brewing is a hobby that is ever growing in popularity! It can be as simple or complex as you want to make it...but the options for a great tasting homebrew are endless. A great way to connect with other home brewers is to join a local home brew club! In the Grand Rapids and Bemidji area: The Boreal Brewers. In the Duluth area; The Northern Ale Stars. The Aitken area is home to Glacial Lakes Brewers. Be sure to keep your eyes open for beer brewing classes that become available through your local community education. To sign up for Brew Classes in Grand Rapids (usually in late January/March) contact Liz Barrett at 218-322-2410. Beginning brewers may start brewing using a hopped malt extract or a Brewer's Best extract kit. The beers that you can create using these simple processes can be very tasty indeed. The styles that you have to choose range from an easy drinking American Light to a dark stout or nut brown ale. The kits come with detailed instructions on how to assemble and brew. As always, it is best to read through the instructions before starting. Click here to review the kit instructions for a Brewer's Best Kit. As a brewer becomes more comfortable and accustomed to the process, many recipes are available to make with the ingredients found at Wine Creations. Our extract, grains and yeast selections include just about everything you will need for your brew. We are also happy to order specialty yeasts and grains that we don't have in stock. Advanced brewer's will transition into all-grain brewing. This is definitely a more in depth way of brewing. A few more steps...but what a way to spend a day...brewing a craft beer with whole ingredients and your own two hands! 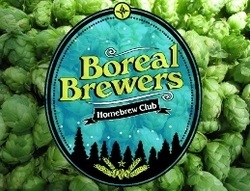 Information from Boreal Brewer's Website: http://www.borealbrewers.com For more information, visit their website. 2.9the natural fermentation of fruit juices or brewing of beer in the home for family use. 2.12or competitions such as, but not limited to homemaker's contests, tastings, or judging. 2.15EFFECTIVE DATE.This section is effective the day following final enactment. We are focusing on the public sharing of homebrew, something we have been trying to do as a club for years. We have repeatedly tried to turn Big Brew Day into a public event, a six-hour exhibition of brewing, as you can see at our 2009, 2010 and 2013 Big Brew events. For 2011 and 2012 we went to private property. We support a number of community events where we would like to share beer by offering samplings, as we would like to be a positive presence for the homebrewing craft, and craft beer in general. Current statute does not contain any language that would support public sharing.